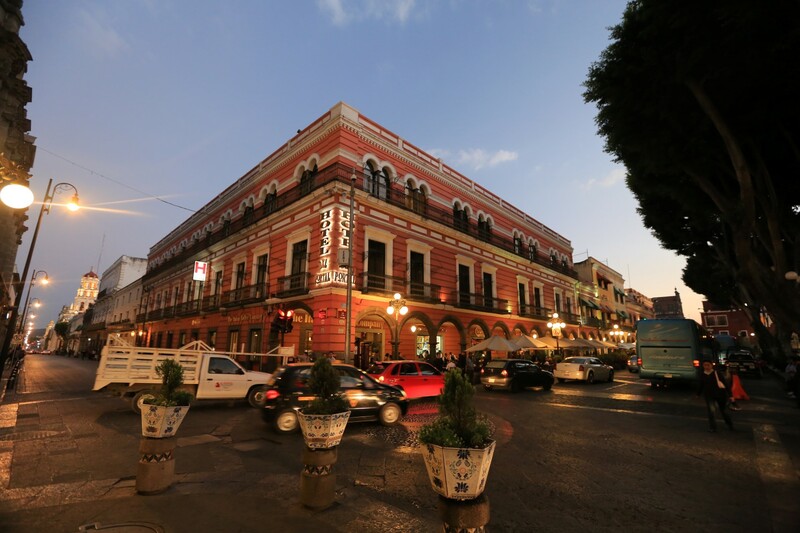 I spent about 2 weeks of our 1 month trip near, in and around Puebla. I didn’t intend to do this, but in doing this I learned a lot about Mexico, about Mexicans, and certainly about Puebla and This post is a bit of a memoir to all of that. Without question I could have been stuck in a million worse places. BTW – there is a gallery with all of the images in larger form at the bottom of the page to click and see the grandness of so many of the images. I had never heard of Puebla before and more than likely you haven’t either. That doesn’t stop it from being the 4th largest city in Mexico and the home to 9 Million people. 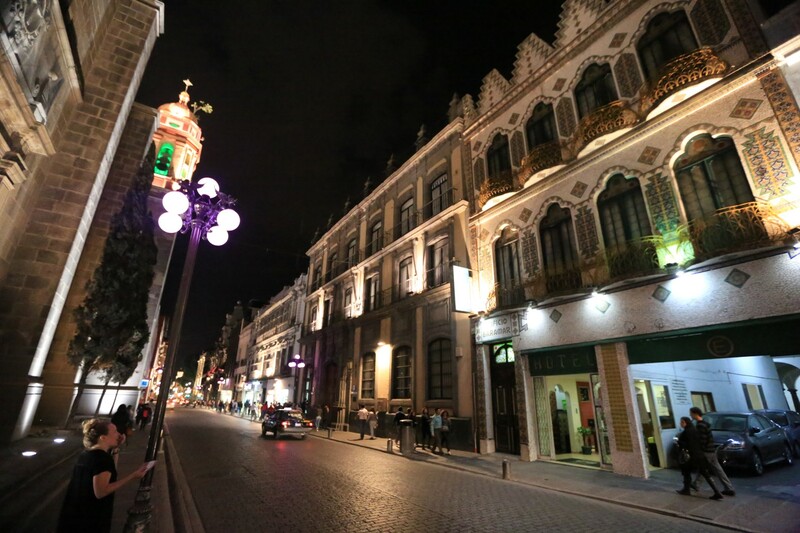 Puebla is a beautiful place filled with beautiful architecture and it is an urban epicenter where Mexicans don’t even really notice you for your tourism. It’s a place where modern Mexicans do modern Mexican things in the shadow of historical constructs grander (or at least older) than anything that exists in the US. I have to throw out the love of my time in Puebla. 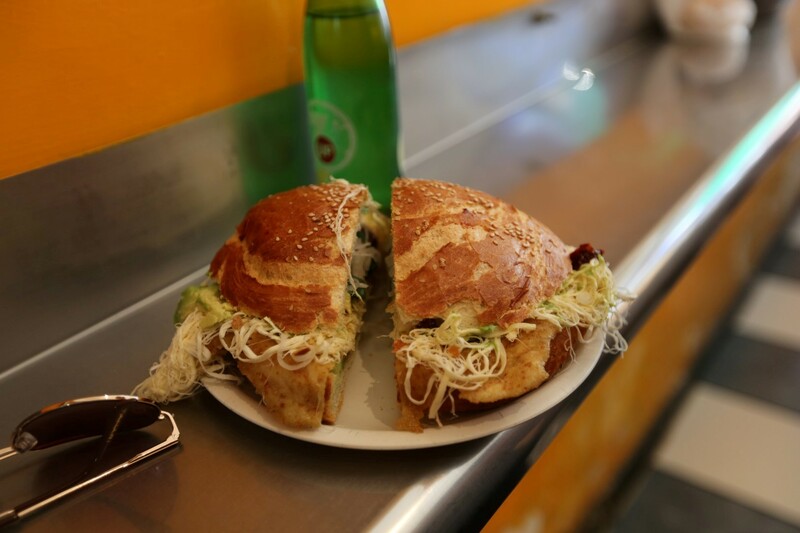 Puebla is the home – and as far as I have gathered it is the sole home in all of Mexico and of the world – of one of the best sandwiches ever made – the Cemita. At meal time more than likely you would find me in the company of one of these fabulous sandwiches. Quite simply – it’s the bread. Crispy like a baguette, soft on the inside, round, perfect. A thin breaded chicken patty, a 1/2 pound of local cheese (well – maybe a 1/4 pound), Chipotles, avocado — sighhhhhhhhhh. I will miss you Cemita! One of the best sandwiches in the world. Period. On to the Cathedrals. Puebla has over 70 cathedrals. If you want to visit Cathedrals there probably isn’t a better place in all of Mexico. At times it was hard for me to separate the beauty of these buildings from the idea of how costly they were at the point and still are – but I will drop that and just show them off here – and only a couple of them – you should understand that everywhere you turned in Puebla, There’s a cathedral somewhere. Make sure to click through the slideshow to see the glory! Puebla is frequently in a haze. At first we thought that this must be smog like Mexico city, but it’s not. 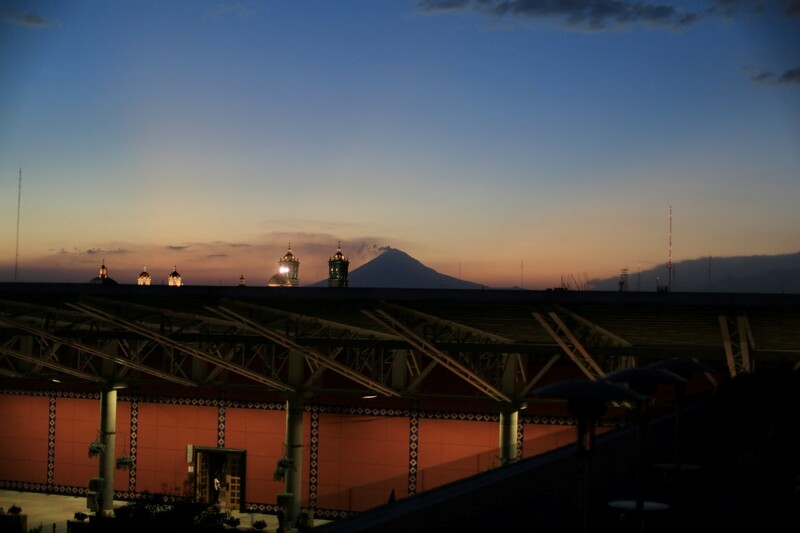 Puebla isn’t in a valley – it’s at 8,000 feet. So why the haze? Puebla is right next door to an active volcano – Popocatépetl – at 18,000 feet!. One thing I wish I had done was to have climbed it at least part of the way. We only got to see it a couple of times because on most days the haze was too thick. Not thick enough to bother me but Katie noticed it. This volcano has closed airports in the recent past. And then there’s art all over the place. There are many, many museums to spend all sorts of time at as well as artists and musicians in residence at the artists barrio where you can go at any time and see them painting in small rented brick spaces, presenting and trying to sell their craft. It’s getting late and I want to wrap this up. I could spend days talking about Puebla. There is food, there is culture, there are great people, there are outdoor markets, there is a vibrance that is electric. So many people were interested in talking to me, I saw and did so many things. I had a blast even though the tension of not knowing when I might be able to move forward with our trip weighed on me at times it couldn’t take away from what was even in the shadow of all of that. The real Mexico breaks stereotypes that exist in the US and that I had. Mexico City broke them, Puebla broke them more. Here is the rest of the gallery – until the next chapter! Make sure to click any of the thumbs to bring up the large version! Wow, looks like fun! Maybe we can get Rubicon to add the Cemita to the menu! Actually one plan is to open up a whole Cemita store – steal a talented Cemita bread maker from Puebla and bring him up to San Diego! So that’s your next venture. Hope you’re on your way to Cancun or Trinidad and had a great Birthday. When is Carnevale next Wed. is Ash Wednesday.